He can occasionally put buyers and sellers in contact with each other, depending on the information he has. 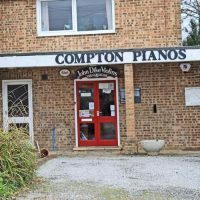 All piano sales enquiries are forwarded to Compton Pianos, Sherborne. They have a large showroom with a variety of makes and models such as; Yamaha, Kemble, Reid-Sohn etc. 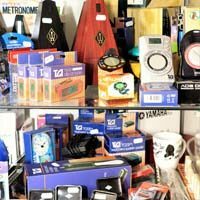 They also sell accessories, piano stools, music stands, metronomes etc. 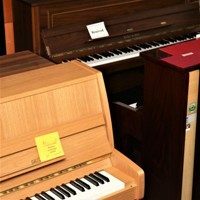 Rosemary Mack, the owner, is very knowledgeable and will be able to advise you on any aspect of piano ownership. Tel: (01935) 812973. He doesn't buy pianos either!